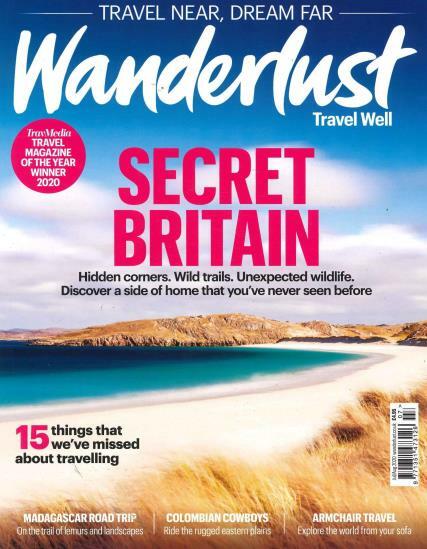 Wanderlust is the premier magazine for world travelers. It is packed with trip inspirations and travel advice. There is Monty Hall’s sixteen-page guide to the Great Barrier Reef as well as trekking, trains in Darjeeling and how to find the Northern Lights in Finland at its fifty-hear peak. Find ten unique places to stay for cheap. If you want to travel to exotic places, Wanderlust Magazine has features that talks about career breaks where you can learn more about different countries, how much money, what type of currencies and how to keep your money safe while traveling. The article on travel insurance might not be the most exciting article you have ever read, but if you are going to travel to foreign areas you do need to know about travel insurance. A disabled traveler? Don’t give up your travel plans, read Wanderlust Magazine for tips and tricks on how to get around when traveling to exotic places in the world. Read about the ins and outs of passports and how you need to keep yours safe - it is a legal document after all.